Little Red Shoes :: Mama, Why Is Daddy Runnin’? 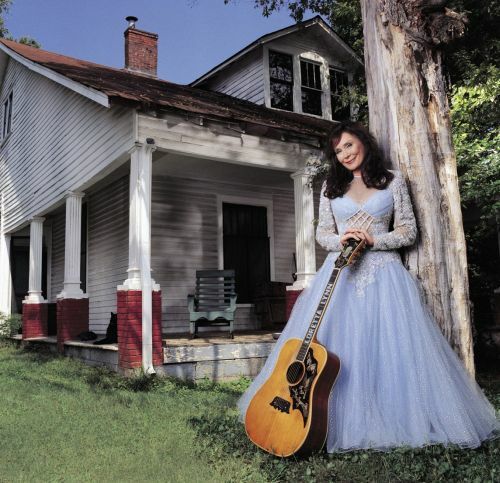 Loretta Lynn’s (excellent) collaboration with Jack White, Van Lear Rose, produced, quite possibly, one of my favorite spoken word story-songs ever. Entitled “Little Red Shoes,” what some may have viewed as a throwaway track, I found to be the cornerstone of the album. Amidst the more rocked up atmosphere of the affair was this oasis of pure Loretta gold. Just wanted to let you know I sampled your LL tracks. Have always been curious about this collaboration. I like it alot. On another note…I visit your blog regularly and enjoy it very much. Perhaps because there is always a high level of consistency in your posts. Anyway…I definitely see the hard work put in by you. Thanks for your blog and PROPS! Portland, Oregon is a wonderful track and the story behind the collaboration is really beautiful…..
I’m with Casey above – always a high level of great posts here. I hadn’t heard this collaboration yet – the music reminds me of the San Francisco scene of the late 60s and early 70s – very nice stuff.